Today's big news—not just in sports, either—is 12-year NBA veteran Jason Collins revealing he is gay. Collins isn't really a star; he's a journeyman more known for getting destroyed by Shaq in the NBA Finals his rookie year. Perhaps you may have seen him somewhere else? Yes. 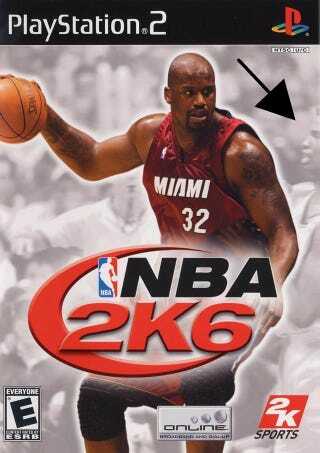 He's on the PS2 cover of NBA 2K6, in his signature getting-mauled-by-Shaq-in-the-playoffs pose (this time, the first round in 2005.) Hat tip to Stephen Vu of Incorrect Basketball Knowledge for pointing this out to me on Twitter.